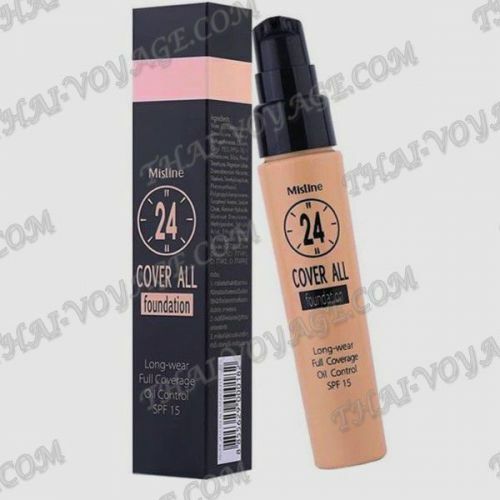 Cream 24 Control oil Mistine. The cream is ideal for oily skin, eliminates Shine, and hides skin irregularities, masks dark spots and pigmentation. Easy to apply to skin and lasts all day, with SPF 15 sunscreen. The cream is suitable for all skin types, beige tone. The most popular Foundation in Thailand. Application: apply the cream to clean dry skin massage movements before applying makeup.